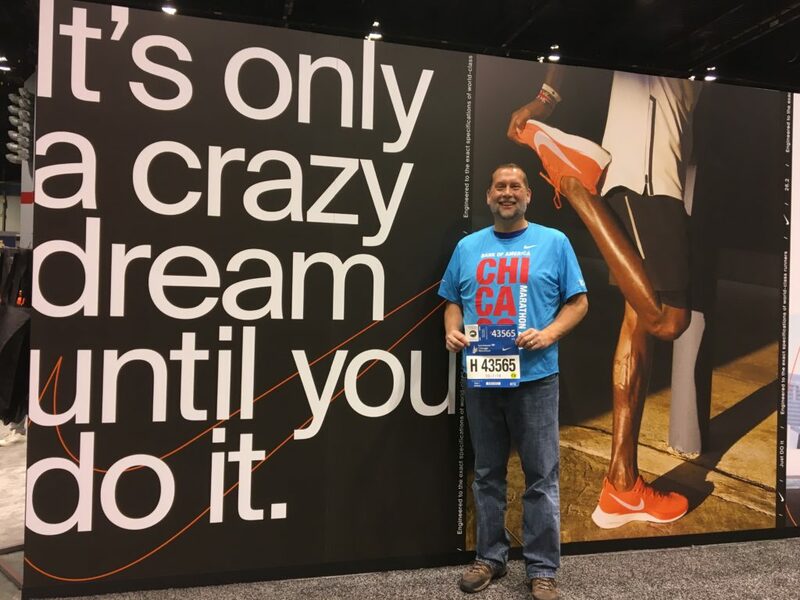 Call me crazy, but in October of 2018 I ran two marathons in two weeks – the Chicago Marathon on October 7 and the Grand Rapids Marathon on October 21. 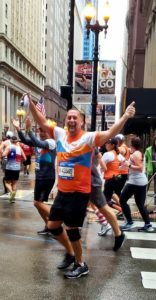 I did it for just one reason – to raise money provide life-giving clean water for people in under-resourced communities in Africa through World Vision. But in the spring of 2014 Team World Vision came to my church and invited the congregation to step out of our comfort zones and do something weird like run a half or full marathon that October to raise money for clean water. My wife and our oldest son, who was 17 at the time, decided to run the Grand Rapids Marathon with Team World Vision. I got a pass because I had torn my meniscus in my right leg, and was scheduled to have surgery after the Marathon. How convenient! 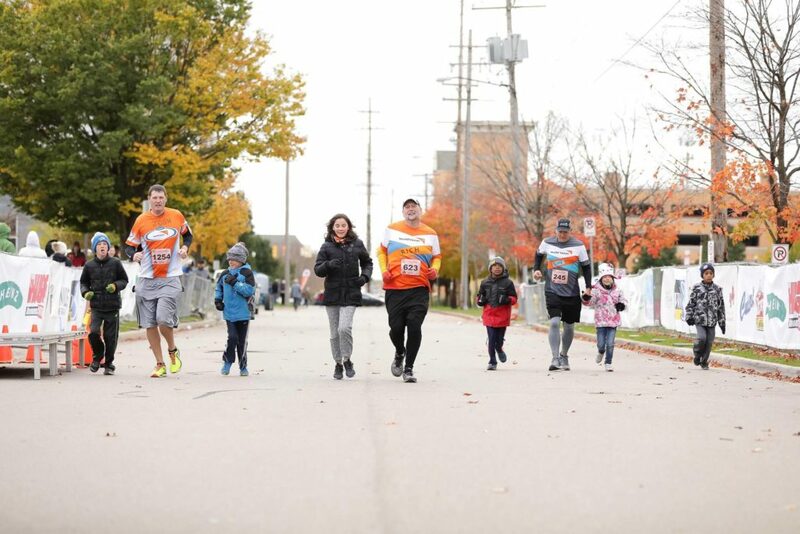 But in the spring of 2015, Team World Vision put out the challenge again, and something inside of me decided to say yes, decided to run the Grand Rapids Half Marathon. I’d always thought it was crazy to run more than a couple of miles. And I’ve always been overweight. And I have bronchoconstriction, or exercise-induced asthma. What’s that? The doctor described it this way: If the average person breathes through a “pipe” as wide as a garden hose, I breathe through one as wide as a straw. Yeah, that’s how it felt! I was always wheezing and had to frequently stop to catch my breath. But I bought a good pair of running shoes and some running shorts and shirts and I began following the training program that World Vision provided. I figured, even if I couldn’t run, I knew I could at least walk a half marathon if I had to. But I’ve been to Africa many times, visiting Mozambique, Zambia, Zimbabwe, and South Africa so far. Believe me, these words come to life when you’re there and you see how people in many communities, most often women and children, have to walk miles and miles to get water – water that isn’t really safe to drink. And when you hear that nearly 1,000 children under age 5 die every day from diarrhea caused by contaiminated water, poor sanitation, and improper hygiene. But I’ve had the privilege of seeing first-hand the work that World Vision is doing to help end the global water and sanitation crisis, and decided to say yes. After 18 weeks of training, I’m happy to say that I completed my first half marathon! I felt exhaused but good after. 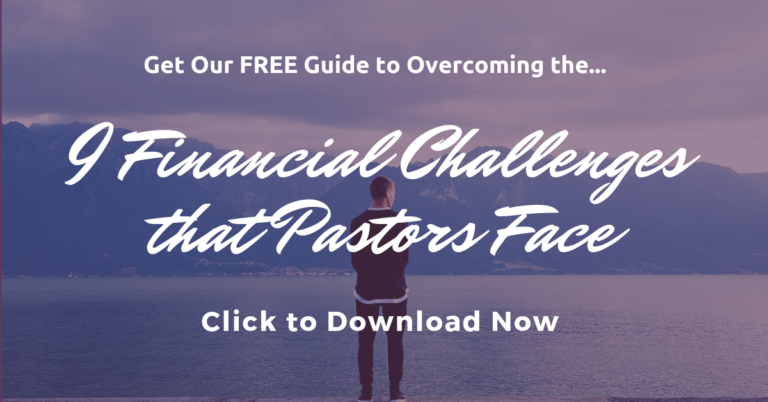 And I was so bless to see how much money the Lord raised through me and all the others fron our church who also ran. But in 2016 I decided to commit to running the full Grand Rapids Marathon. I wasn’t sure I could do it. But I was so thankful I had been able to do the half, and I figured it wouldn’t hurt me to try the full. Only those who will risk going too far, can possibly know how far one can go. Could I actually run 26.2 miles? There’s only one way to find out! After 18 weeks of training, I crossed that marathon finish line! It took me 5 hours and 45 minutes. But I finished! But in 2017 I committed to run the marathon again. I had done it before, and now I knew I could do it again. But this year’s 18-week training season was more challenging because of plantar fasciitis pain I had in my left foot. And to make matters worse, two weeks before the marathon, I experienced some shin and sciatic nerve pain. I went to a physical therapist and discovered my left gluteus medius muscle was weak and likely was causing the pain. They advised me that I probably shouldn’t run the marathon. Well, I didn’t want to miss out on running with my Team World Vision team again, so I decided to drop from the full marathon to the half. I knew I could do a combination of walking and running, and if I ended up having to do all walking, that’s OK. So I did it! Actually, it only hurt during half the race – just whenever I landed on my left foot! But in 2018 I signed up for the Grand Rapids Marathon again with Team World Vision. I had heard that some of my Team World Vision running friends were planning to run the Chicago Marathon, which they said was an amazing race. My running partner Blake and I talked about it and wondered whether we could somehow do both the Chicago Marathon on October 7, 2018 and the Grand Rapids Marathon…two weeks later…on October 21. But we both decided to go for it! And I set a goal to be able to run those marathons pain-free. So I began to research all the different stretches and exercises I could do to strengthen my core, glutes, and hips, so I could be a stronger runner. All that work, over many months, paid off, and I’m so glad to report that I had a great pain-free running season! Running the Grand Rapids Marathon is nice – but running the Chicago Marathon was truly an amazing experience! There’s nothing like running with 45,000 other runners, and seeing 1.5 million fans out there to cheer you on. And each neighborhood that the course runs through is so unique – and many of the residents do fun and unique things for the runners – whether it be the signs they hold to the music they play to the free food and drinks they hand out to the runners. We finished the Chicago Marathon in 5 hours and 26 minutes and set our sights on Grand Rapids two weeks later. Another friend named Josh joined us for the Grand Rapids Marathon. He began training just 13 days before! The first half of the race was really good – our pace was on-point for about 15 miles. But we were feeling fatigued as the miles wore on, and we walked more than we ran for the last couple of miles, finishing in 5 hours and 40 minutes. But as we neared the finish line, some of our kids joined us and “ran us in” to the finish. As we crossed the finish, an array of emotions welled over me. We raised money, thanks to generous friends and family, to provide clean water for dozens of kids living in under-resourced communities in Africa. And here we were, nearing the finish line. The end of a long journey. For us. But for others, this was just the beginning! Our finish line was someone else’s start line. The start of a life free from illness and disease from contaminated water and poor sanitation and hygiene. The start of an education because kids will no longer have to walk miles and miles each day to get water. The start of new opportunities never before imagined by kids living in under-resourced communities in Africa. Thanks to World Vision, and other organizations working to end the global water crisis, when our kids reach my age they won’t need to run for water, because no children will have to walk for water. But I’m going to keep moving my feet on behalf of vulnerable children. In 2019 I’m planning to run the Grand Rapids Marathon again with Team World Vision. My goal is to raise $5,000 to provide clean water for 100 people. A gift of just $50 changes someone’s life forever by providing them with life-giving water and improved sanitation and hygiene. Want to join me? Please visit my Team World Vision fundraising page at www.RichRunsForWater.com.